The Holocaust is a major part of world history, and over the years it has been analyzed politically, religiously and even in the education systems. Students undertaking history related courses are likely to encounter this type of essay. This guide provides tips on how to select great holocaust topics and also offers some sample topics ideas and questions. Do You Know How to Select the Best Holocaust Essay Topic? The Holocaust has been broken down and analyzed from various possible angles giving students a range of topics to choose from. What should you consider when selecting holocaust topics? Choose a topic that you are familiar with and which you have a good level of understanding on the subject. Selecting topics based on your interest or curiosity in a particular area can fuel your research and discussions in the essay. Topics can vary in size depending on what they are about. Therefore, pick one that best fulfills the requirements of the word count. Narrow down wide topics and avoid the ones that are too narrow. Your previous topics or essays can give you an idea of what to write about. Think about a previous topic you wrote about the Holocaust that you could modify to fit the requirements of the essay. You can adjust a related topic or write about a different aspect of a similar idea. However, be careful with this approach to avoid repeating what you previously wrote since it would be regarded as a lack of creativity. The point is that if you decide to re-use a topic, with a new perspective on the topic, it should be seen as legitimate. We have gathered some topics that you can use for your essays and even guide you in creating your own. The treatment of Jewish people before, during and after the Holocaust. Take a look at these essay questions we have gathered. What proof is there that the Holocaust occurred for doubting people? Why did the Holocaust target the Jewish people? How did Hitler get enough influence to initiate the Holocaust? What did the Catholic Church and other prominent religious groups do or say about the Holocaust? Did Hitler have a Jewish background? How did the majority of the Holocaust victims perish? Is there a possibility of an event like the holocaust reoccurring? Did the Jews residing in Europe know what was going to happen to them? How are the Holocaust survivors coping today? How did the Germans define or identify Jews? Below are some ideas you can build into good essay topics about the Holocaust. Is that Holocaust essay causing you stress? 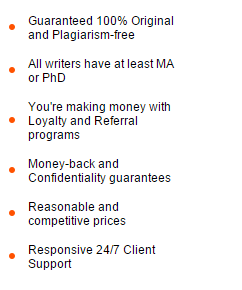 Contact us for professional assistance with essay. We assure quality and guarantee your confidentiality.